At Kroger, we’ve committed to eliminating food waste across our company by 2025 as part of our Zero Hunger | Zero Waste social impact plan. With this goal in mind, we’re constantly working to extend the life of the food we carry – so it’s fresher on our shelves and stays fresh longer for customers at home. Plan ahead. Make a meal plan for the week and use it to create your shopping list. 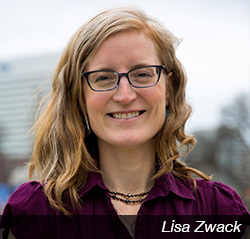 “That way, you’ll buy what you need and help head off waste before it happens,” Lisa says. Take stock. Shop in your refrigerator and pantry first. Know what you already have before purchasing more – a strategy that will save you money AND reduce waste. Be realistic. For staples like condiments, juices and snacks, include realistic quantities on your list, so you don’t overstock and run the risk of them going bad before being eaten. Mind the dates. Be sure to eat foods with the earliest expiration date first. Get creative. “Vegetables and fruits that are beginning to wilt may still work perfectly for soups, stocks, smoothies and casserole dishes,” Lisa says. Cut up fruit and vegetables into individual portions to make them more convenient to eat and less likely to go to waste. Store properly. This means keeping bananas, apples and tomatoes separate, washing berries and grapes just before you eat them to prevent mold, and keeping fruit and vegetables in different refrigerator drawers. Cook, then freeze. 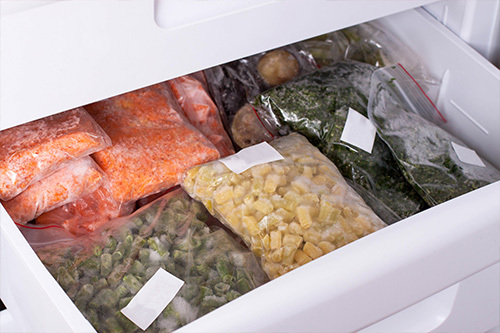 Prepare and cook your fresh items before freezing, then thaw them as needed for quick meal prep throughout the month. Think serving-sized. Cut up fruit and vegetables into individual portions to make them more convenient to eat and less likely to go to waste. To stay in the know on all things Zero Hunger | Zero Waste, join our mailing list.